At Fairmont Hotels & Resorts, our Marketing professionals are ambassadors of the engaging service and authentically local experiences we offer in places of unrivalled presence. Showcase your creative flair and interpersonal skills as Director of PR and Marketing , where you will grow our market share with exciting promotional campaigns that showcase our exceptional guest offerings. 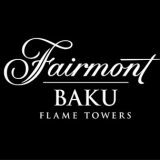 Whether you’re launching your career or seeking meaningful employment, we invite you to visit http://www.fairmontcareers.com/ to learn more about Fairmont Hotels & Resorts—and the extraordinary opportunities that exist! Whether you’re launching your career or seeking meaningful employment, we invite you to visit to learn more about Fairmont Hotels & Resorts—and the extraordinary opportunities that exist!